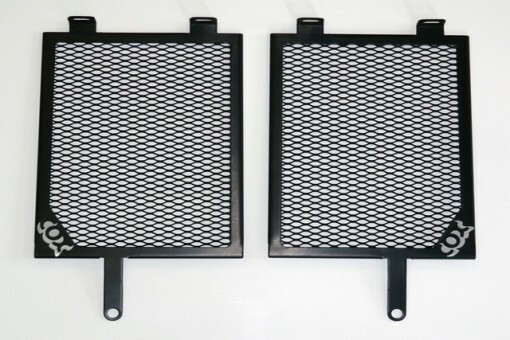 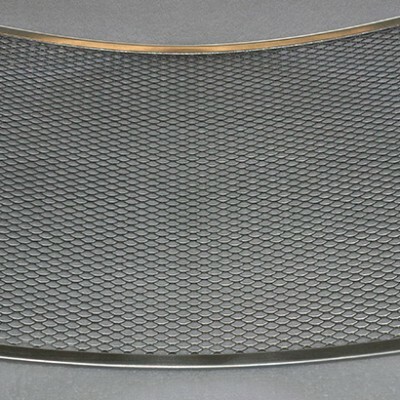 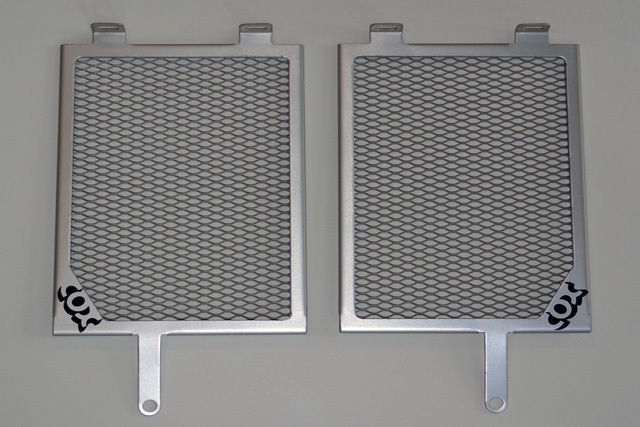 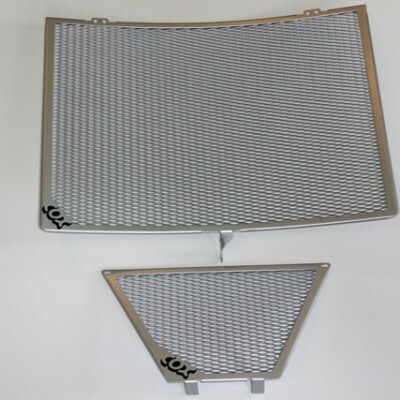 Our Radiator Guards are engineered so they are manufactured without welding. 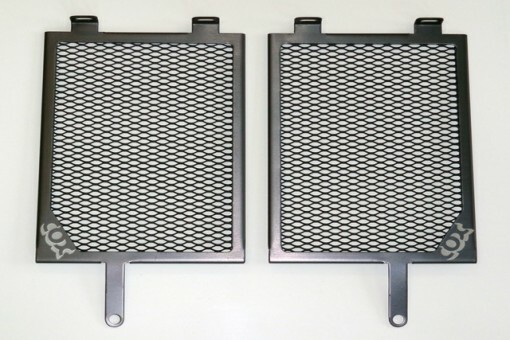 Frames are cut from a sheet of .060 5051 aluminum. 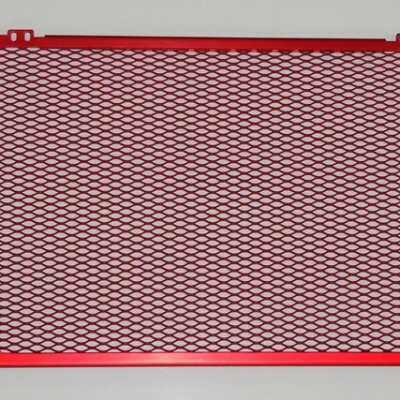 The screen is .034 expanded aluminum. 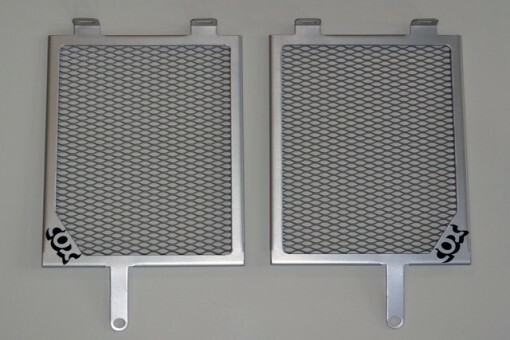 This Guard slips over the radiator shroud locating tabs. The bottom bolts to the lower radiator shroud mount using the existing fastener.